As of 30 June, 51 countries and territories worldwide have reported confirmed cases of autochthonous (locally acquired) Zika virus infection in the last three months (see PHE Zika webpage for latest information). Countries and territories in the Americas (South and Central America) and the Caribbean continue to account for the majority of countries currently reporting active transmission (39 out of 51). Although a decline in cases of Zika infection has been reported in some countries, or in some parts of countries (consistent with expected seasonal trends for other mosquito-borne diseases), Zika virus continues to spread geographically to areas where competent vectors are present. Based on the evidence available, the World Health Organization (WHO) does not see an overall decline in the outbreak. The potential range for Zika virus expansion includes the United States of America (USA) and some southern European countries. To date, no autochthonous cases of Zika virus infection due to vector borne transmission have been reported in the USA or Europe although many cases have been diagnosed in returning travellers. Within the UK, 32 cases of Zika virus infection in people who have travelled to countries with active Zika virus transmission have been reported. UK travel associated cases do not present a public health risk to the wider population as the Aedes mosquito that transmits the virus is not found in the UK. However, as sexual transmission is possible, appropriate precautions should be taken (see below). Based on a growing body of research there is an international scientific consensus that Zika virus is a cause of microcephaly and other congenital anomalies (referred to as congenital Zika syndrome, CZS), and Guillain-Barré syndrome. To date, cases of CZSassociated with locally acquired infection have been reported by nine countries (Brazil, Cape Verde, Colombia, El Salvador, French Polynesia, Marshall Islands, Martinique, Panama and Puerto Rico). In addition, three countries (Slovenia, Spain and the USA) have reported cases of CZS from mothers with a recent travel history to countries reporting active transmission. WHO still considers the Zika virus infection and its associated congenital and other neurological disorders to constitute a public health emergency of international concern. 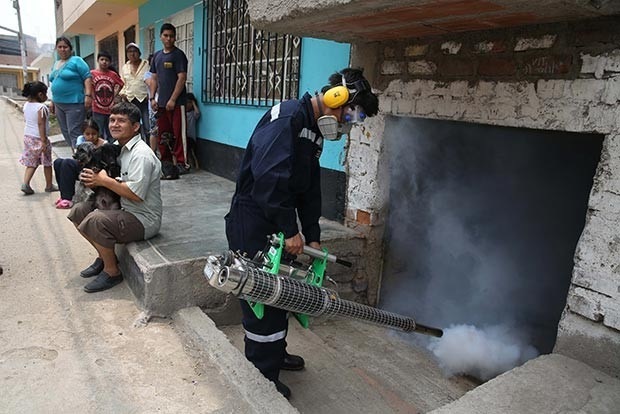 While almost all cases of Zika virus infection are acquired via bites from the Aedes mosquito, since 2015 at least 24 cases of possible sexual transmission of the Zika virus from men to their sexual partners have been reported. In all cases, the males travelled to countries with active Zika virus transmission, and in all but one case, the men experienced symptoms suggestive of Zika virus infection. In recent weeks, PHE has amended advice on preventing sexual transmission to reflect the latest WHO recommendation, which states that asymptomatic men should use condoms for eight weeks following return from areas where transmission of Zika virus is known to occur. In addition, WHO also recommends that pregnancies should be deferred for eight weeks following the female and/or the asymptomatic male’s return from areas where transmission of Zika virus is known to occur. This is an increase from the previously recommended four weeks of condom use and follows a recent report of asymptomatic sexual transmission that is believed to have occurred between 21 and 36 days after leaving an area with active Zika virus transmission. Advice on preventing sexual transmission for symptomatic males remains unchanged; condom use should commence at the onset of the illness and continue for six months. In response to the Zika outbreak, the UK has implemented surveillance systems for CZS. The UK Obstetric Surveillance system (UKOSS), which describes the epidemiology of a variety of uncommon disorders of pregnancy, has been expanded to include surveillance of pregnancy outcomes in UK mothers who have travelled to a country with active Zika transmission during their pregnancy. In addition, the British Paediatric Surveillance Unit (BPSU) which supports studies on rare childhood disorders is carrying out a study to record all babies with microcephaly or neurological abnormalities born in the UK and Republic of Ireland to mothers who have travelled to countries with active Zika transmission. Both studies will run until early 2017. Information and guidance documents on the PHE website are regularly reviewed and revised in light of new evidence. Please see the Zika webpage for latest updates. Health professionals and travellers should consult the country information pages on NaTHNaC’s Travelhealthpro website for the latest travel health advice for their destination.